As if you didn’t have enough reasons! Orlando is probably the world’s number one family vacation destination. 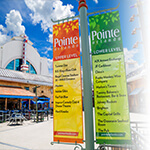 Orlando also attracts nearly 60 million people each year with its unique mix of attractions, entertainment, dining and shopping options. There are an endless list of things to do and see in Orlando. But there’s a few which we think stand out from the crowd. Take a look at our breakdown of the top 10 reasons to visit Orlando! 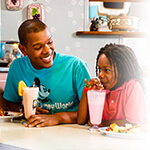 Walt Disney World® is the BIGGEST reason that Orlando is a must-see destination for families from all over the world. It’s the place where people of all ages can be a kid again! In just the last few years Disney has added plenty of new things to enjoy, such as the Fantasyland expansion … which includes the newly built Seven Dwarfs Mine Train roller coaster. Whether you’re coming to meet Mickey and explore old favorites like “It’s a Small World”. Or if you want to check out Disney’s exciting new additions … you’ll leave happy and that’s what makes Disney one of top 10 reasons to visit Orlando. 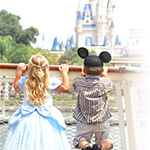 Call our Guest Services Team TOLL FREE on (866) 934-9177 to get the best, authorized, discounted Disney theme park tickets. There’s no doubt your family will want to don their swimsuits and take advantage of our beautiful weather when you stay. Therefore Aquatica is consistently rated as one of the world’s top water parks. It’s easy to see why! Aquatica boasts two massive side by side wave pools and thrill-inducing water slides. The Dolphin Plunge takes you on a white-knuckle ride through a dolphin-filled aquarium. You’ll be just inches away from a variety of beautiful sea life. Ihu’s Breakaway Falls places you and two others atop trap doors that suddenly open, sending you flying down one of three slides, each with different excitement to offer. If you’d rather relax than ride, you can float along the lazy river, or soak up the sun on the sandy beach area next to wave pool. Whatever you decide, you’ll find Aquatica is a little slice of paradise (and thrills) in the heart of Orlando. 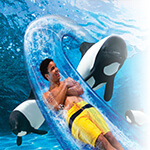 Call our Guest Services Team TOLL FREE on (866) 934-9177 to get Aquatica theme park tickets. A world-wide phenomena was born with the opening of the Wizarding World of Harry Potter at Islands of Adventure in 2010, and in 2014, the park was expanded to include a Diagon Alley section in an area of Universal Studios. The two parks include several well-known Harry Potter-themed attractions like Harry Potter and the Forbidden Journey as well as Harry Potter and the Escape from Gringotts, and a fully functional replica of the Hogwarts Express connects the two unique areas. Diagon Alley and the Wizarding World of Harry Potter both do an amazing job of bringing the books to life with a variety of attractions, shops, foods and more, and there is fun to be had for people of all ages. Kids can have a wand “pick them” at Ollivander’s Wand Shop. Enjoy a cup of sweet ButterBeer (non-alcoholic of course!) after having a few chocolate frogs! 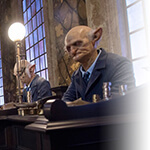 Adults will love the attention to detail and immersive experience for die-hard Harry Potter fans. Call our Guest Services Team TOLL FREE on (866) 934-9177 to get authorized, discounted Universal Studios theme park tickets. Number 4 in our “Top 10 Reasons to Visit Orlando” is “Islands of Adventure“. 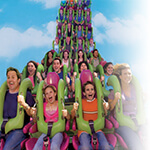 No trip to Orlando is complete without experiencing the thrills that Islands of Adventure has to offer. This theme park truly stands out from the rest because of the sheer level of excitement offered by its famous roller coasters and rides. Other parks focus more on immersion and novelty and attention to detail. But there’s no substitute for the g-forces you’ll experience on the Incredible Hulk or Dr. Doom’s tower. Call the VillaDirect Guest Services Team TOLL FREE on (866) 934-9177 to buy authorized, discounted Universal Studios theme park tickets. 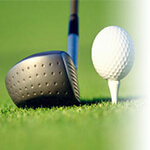 Golfers will feel “right at home” in Orlando thanks to the area’s fantastic lineup of world-class golf courses. Whether you’re playing a championship course, learning from the pros, or hitting a few balls at a driving range, Orlando has the best selection of links. There are over 160-courses located within 45 minutes of downtown Orlando! Golfers can try their hand at a wide variety of challenging and diverse courses designed by such legends as Jack Nicklaus, Tom Watson, Rees Jones and Greg Norman. If you’re hoping to catch some of your favorite pros in action, Orlando is the only city in America that hosts two regular tournaments — the FUNAI Classic and the Bay Hill Invitational. Of the top 10 reasons to visit Orlando – one has to be our “glorious weather”! It’s no secret that Orlando is home to some of the world’s most beautiful weather, and that gorgeous Florida sunshine is part of what brings nearly 60 million visitors to central Florida each year. Average temperatures in Orlando never dip below 70 degrees, and during the summer months, temperatures hover in the high 80’s and low 90s. As a result, no matter what time of year you find yourself ready to take a vacation, you can be sure that when you get to Orlando, temperate weather will be waiting for you. 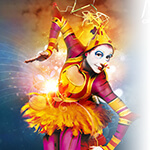 One of the world’s most famous resident circus shows, Cirque du Soleil: La Nouba is a unique and creative blend of art, acrobatics and theater. La Nouba has called Disney Springs (formerly Downtown Disney) home for over 15 years. Literally translated, “La Nouba” means “The Party,” and this show certainly lives up to its name. The spectacle’s international cast of talented performers showcases incredible feats of strength, agility and beauty as they routinely soar several stories above the ground. The venue itself only adds to the entertainment, appearing to be a giant ivory circus tent from the outside but containing state-of-the-art lightning and sound equipment that create an almost dream-like atmosphere. 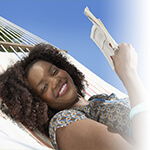 Call our Guest Services Team TOLL FREE on (866) 934-9177 to get authorized, discounted La Nouba tickets. From celebrity chef spots located right near the theme parks to hidden gems in the downtown area … Orlando is full of delicious places to eat. Restaurants such as Luma on Park have drawn the likes of Paul McCartney to sample their famous menu of large main dishes that are best enjoyed with family or friends. Another local favorite is the Ravenous Pig, hosts hugely popular monthly pig roasts and offers unique gourmet takes on classic pub fare like shrimp and grits and moules frites. There are simply hundreds of restaurants to choose from. For dining options close to your vacation rental, speak to one of our Guest Services Team, who will be happy to match you with local eateries that meet your budget. In addition to the long list of exciting attractions and delicious restaurants, Orlando is home to some of best shopping spots in the world. Not only can you find all of the top brands, you can find them at rock-bottom prices – less than at home. Orlando’s International Premium Outlets has two locations in the Orlando area, one on International Drive and the other on Vineland Avenue and some of the brands offered include Coach, Cole Haan, J. Crew, Kenneth Cole, Lacoste, Michael Kors, Neiman Marcus and others. You can find these world-famous name brands all from 25% to 65% off the prices you’ll find at other shopping centers, which to some might justify the trip to Orlando by itself. Therefore, World-class shopping easily makes our list of the the top 10 reasons to visit Orlando. The last of our top 10 reasons to visit Orlando has to be International Drive. This is one of the “must-see” spots in Orlando for a number of reasons. It’s a 3-mile strip full of a variety of attractions and dining, enough to fill a whole day of fun and probably some more! You can also find WonderWorks, an upside-down building that’s an amusement park for the mind. Or why not make a stop at Ripley’s Believe it Or Not, a collection of artifacts sure to amaze those with appetite for the zany and different? Finally, there are also probably about 60 restaurants and family eateries up and down the strip to sample and enjoy!